Eur Ing Dr Phebe Mann, studying on the Bar Professional Training Course (BPTC) has had her portrait hung outside the College’s science labs to inspire female students. 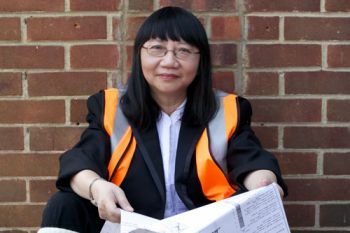 Eur Ing Dr Phebe Mann, currently studying on the Bar Professional Training Course in the City Law School, has had her photographic portrait hung outside Bradford College’s David Hockney Building, housing the College's science labs. Phebe’s photo, originally commissioned by WISE, a national campaigning organisation promoting women in science, technology, engineering and mathematics (STEM), was unveiled on 29th November 2016. Phebe has earned seven undergraduate and post-graduate degrees ranging from computer science to engineering and law, and is the first and only woman in the UK to hold six professional engineering qualifications concurrently. She is one of WISE’s Women of Outstanding Achievement and winner of its Tomorrow’s Leader Award. 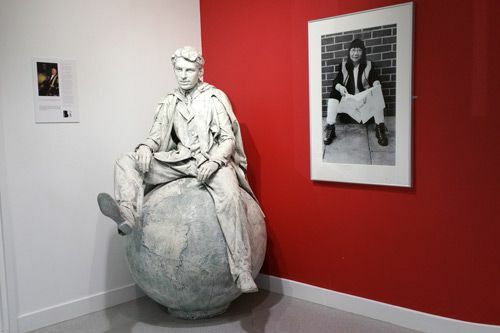 The photo, which has been hung to inspire female students, appears alongside the statue of Sir Edward Appleton, Nobel Prize winner, physics pioneer and former Bradford College lab technician. The “articulate advocacy of the barristers" working in the Technology and Construction Court at Cardiff Civil Justice Centre, motivated Phebe to study for her Bar qualification at the City Law School. She is also grateful to His Honour Judge Anthony Seys Llewellyn QC, Former Designated Civil Judge for Wales, for encouraging her quest to become a barrister.